Give Praise, readers. More spoilers arrive on our shores this day. Visions of a holy people's glorious destiny is laid before us in the sight of the return of a saintly figure from legend. Pay need to your Lords and bask in the light of the radiant champion. 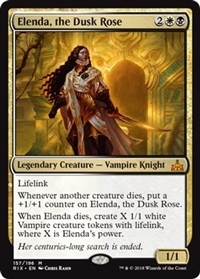 Elenda - in story terms - is the saint-like figure from the Legion of Dusk, the religion of the Black/White Vampires in Ixalan. She ventured to Orazca hundreds of years ago to reclaim the Immortal Sun and save her people from their Undead nature. Her reappearance in Rivals means her mission may be complete. Her card unites the flavour of a holy vampire with the mechanics of it, and that already seen in the Black/White colour pair in this block. The Khabal Ghoul trigger is becoming a trend on legendary Vampires (first seen on Yahenni) and is very flavourful for Vampires; death fuels them and makes them grow. Her own death trigger, flavour-wise, is a win. A legion, as grand as her reputation comes to avenge her death. The self synergy is what makes the card shine overall. My only detractor is her being a 4 mana 1/1. In Standard play, she'd fall to a Shock or worse, a Magma Spray which would give you tokens due to her exiling. To the Commander tables she may have to go, fighting alongside Edgar Markov (because every Vampire is playable in Edgar Markov). 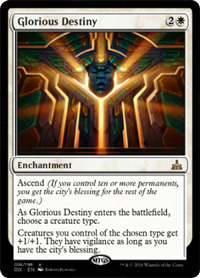 Glorious Destiny is a new, mono White Anthem effect. White's Anthems are usually the best, having the original anthem at the same CMC in 1998. This one is more splashable, but tribal dependent. Giving Vigilance when blessed by the city is a nice addition for White tribal decks in Commander or maybe as a two of in Vampires in Standard. This Vampire Knight fits in a very interesting design space. Few cards in White check each upkeep for lost life. Having it pay off in the form of buffing the Knight, to grant you the life back is very rewarding. Effects like Arguel's Blood Fast and Adanto Vanguard seem a lot better now. 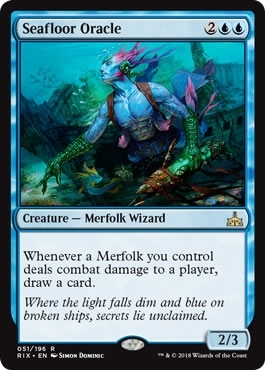 A four drop with a power level to contend with Herald of Secret Streams, the Seafloor Oracle turns all your Merfolk into Scroll Thieves. Drawing you into gas as long as your tribe is active. While pricy, I wouldn't push this too far from Modern play in big boy Merfolk. Don't look at this as a Control Deck's hard counter. This is a Tempo Deck's anti-Settle-the-Wreckage card. 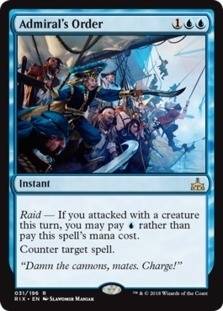 I love the potential for Pirates or Merfolk in Tempo Decks. A powerful counter indeed. A one mana 2/2 with the Silvergil downside is an aggressive creature welcome in Limited. 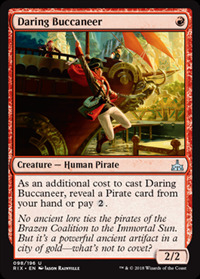 I feel that if the Black/Red or Grixis Pirates deck comes online, this would be a welcome inclusion if the creature count is high. Nekusar players rejoice at the sight of a newish Howling Mine. Letting each player draw on your Upkeep in that deck is gold. When the city blesses you, you get the draw, triggering Niv-Mizzet and Psychosis Crawler. Putting a very cheap Timewalk ability on a creature is both bold and hilarious. There are many ways to abuse the 'downside' of tucking the pirate upon activation. Whether a good, old fashion tutor, or using Grenzo, then reanimating it. 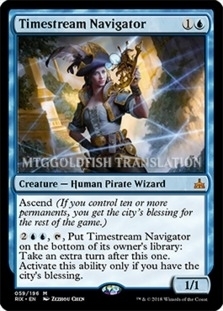 The Blue streaks in the artwork will make this a pretty foil for when I build Admiral Beckett Brass in Commander. 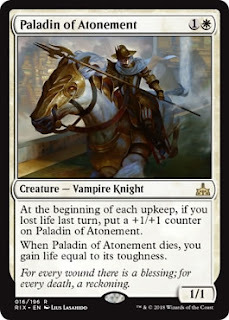 Thanks to MTGGoldfish for the translation. Four mana for murder and a 2/2. Why does this feel very strong to me? I can see a lot of games of Limited turning very quickly because of this creature. 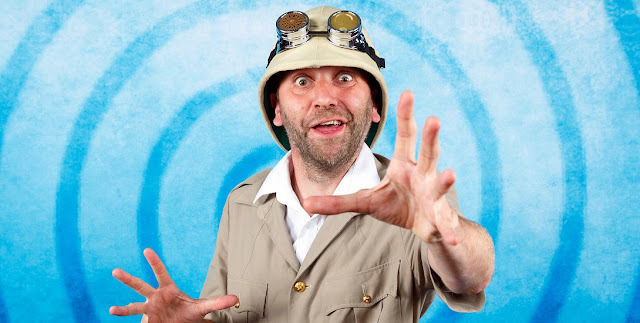 As for Constructed, I'm not holding my breath but I will say: Panharmonicon plus Bontu's Monunent. MaRo you cheeky so and so. 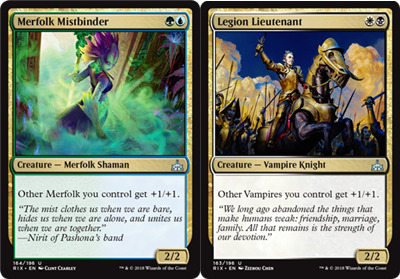 A simple Lord at the same P/T and CMCs for both of the slightly weaker tribes as of the current Standard is exactly what they need. 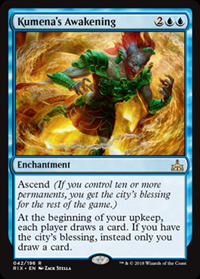 In Modern, people are already splashing Green for Kumena's Speaker and Merfolk Branchwalker. They'll strongly consider playing Green for access to 12 two mana Lords. 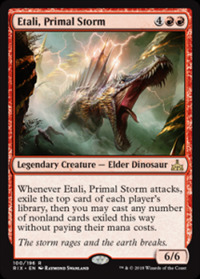 I would have put the card just posted right at the end, but the one last is clearly the stronger of the two, so here's the absurd, Mono-Red Elder Dino. Red has lots of effects that allow for Impulse Draws - exiling then casting the top card. I like that means of playing spells, but I would much rather not pay for it. Thank you, big angry lightning Spinosaurus for casting mine, and my opponent's spells for free. Well. This is not a card anyone was expecting. 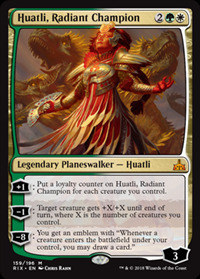 The strength of Huatli in a token strategy makes a person blink repeatedly. 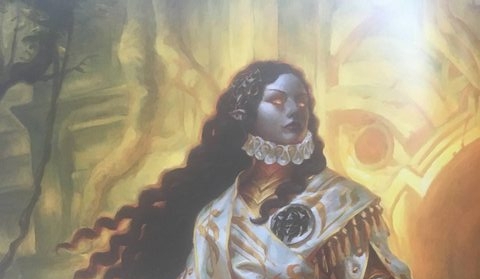 Her +1 is a reverse of Gideon, Champion of Justice. She becomes very loyal if your board is very full. To be able to confer that kind of buff, based on the size of your army, as a -1 makes me wish for a copy of The Chain Veil. 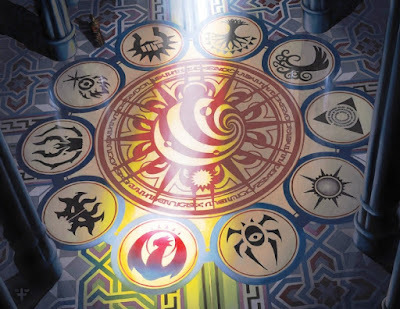 Her ultimate means each creature replaces itself in hand, and each token maker a draw spell. I don't know what to say. In Standard, the token decks can definitely play her. On the EDH tables, I can hear Ghave, Rhys, Trostani, Mirri, and even Atraxa players clamouring for their copies. Stellar. To say this has been the best day for material has been an understatement; but there won't be any slouching. 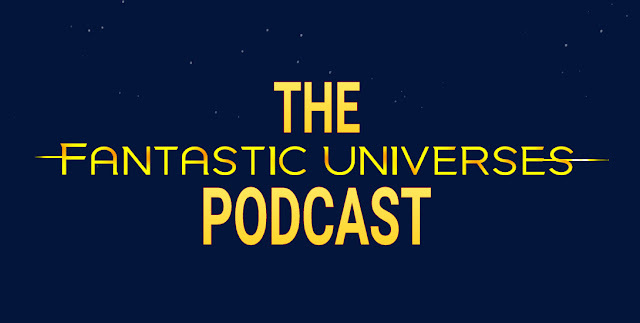 The rest of the week's coverage will be shown here, on Fantastic Universes.